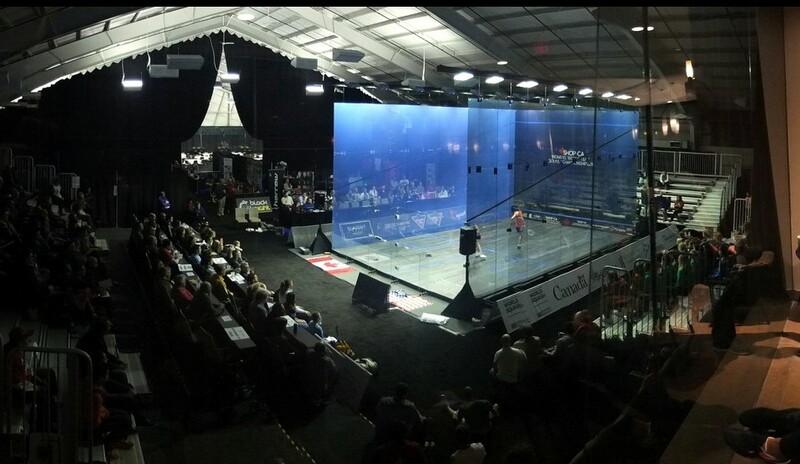 Defending champion and world No1 Nick Matthew eased through today’s first round of the PSA World Open inRotterdam to set up a second round clash with Tarek Momen, the Egyptian ranked outside the world top 25 who beat the Englishman in this month’s Qatar Classic. Yorkshireman Matthew recovered from 5-8 down in the first game at Victoria Squash in the Dutch City of Sport to defeat Italian qualifier Stephane Galifi 11-8, 11-1, 11-3 in 35 minutes. Of his France-based opponent, Matthew added: “He’s a wily old fox. He uses the court, slows the ball down and plays to his strengths well. He’d had a hard match yesterday and was probably more used to the court than I was at first. But once I’d got the pace up his legs weren’t quite there. 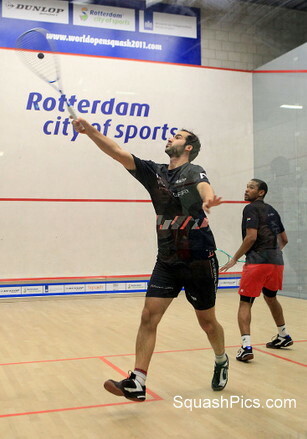 Tarek Momen, whose shock straight games second round victory in Doha ended a run of ten successive final appearances by Matthew, needed 53 minutes to beat Tom Richards 11-9, 8-11, 11-1, 11-5 – avenging his US Open defeat by the Englishman last month in Philadelphia. In the opening match of the day, two-time champion David Palmer took an hour and a half to fend off the challenge of Scotland’s Alan Clyne – and lead four Australians into the next round on the day. After taking a two-game lead, the 2002 and 2006 champion found himself at eight-all in the fifth before finally clinching the match 11-7, 11-6, 6-11, 4-11, 11-8 – much to the relief of himself and his watching family. 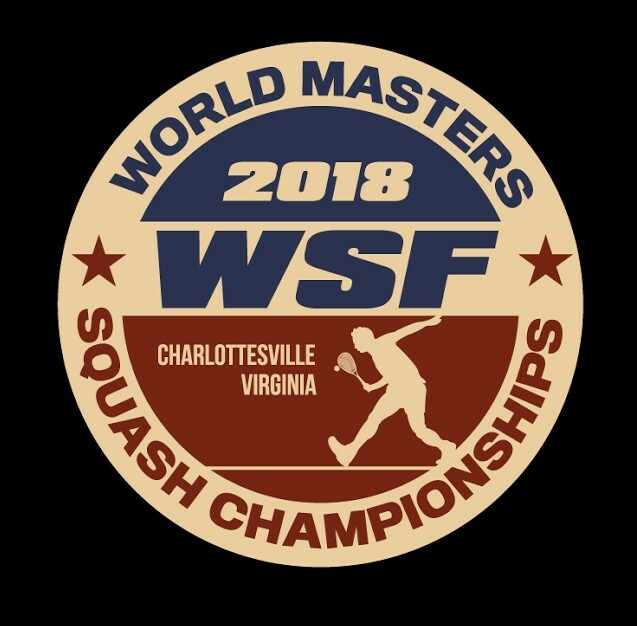 Later Ryan Cuskelly, from New South Wales, beat England’s Joey Barrington, and Canberra-born Stewart Boswellbeat Malaysian Mohd Nafiizwan Adnan, both in straight games. And rounding off the day later, Australian number twoCameron Pilley blasted his way past German qualifier Raphael Kandra. After Palmer’s marathon escape, fellow former world champion Thierry Lincou also showed that there is still life in the old dog! Palmer and Frenchman Lincou share two significant achievements: Both are marking their 12th successive appearances in the World Open, and both recently celebrated ten unbroken years in the world’s top ten. 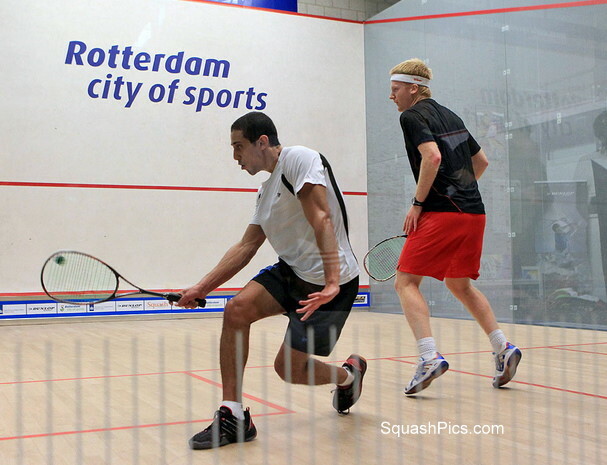 Tenth seed Lincou found himself 5-0 down in the decider to Canada’s Shawn Delierre. The Frenchman recovered to seven-all but had to save two match balls on his way to closing out the match 13-11, 4-11, 11-3, 4-11, 15-13 after 98 minutes. “I was expecting a tough match – he was a bit more used to this court and this atmosphere, whereas this was my first match here,” said the 35-year-old from Marseille later. “Sometimes it’s tricky for the main draw players to come here and get stuck in on these courts. “The glass side is a bit tricky. But Shawn has an unusual style and it’s tricky to play against. 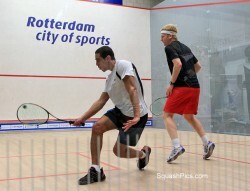 I really had to play my best squash at points to push him into mistakes because he was really hurting me at the front. I had to keep focussed to the end. Simon Rosner made sure of German interest in the second round after a 12-10, 11-6, 11-3 victory over Germany-based South African qualifier Clinton Leeuw. “It’s never easy in the first round – I’m really happy to get through in three, which means that I’m fit and ready for next match,” said Rosner, the top-ranked German. “In the first game, Clinton came out firing – I didn’t know where to look, he was cutting the ball out well. After Leeuw’s loss, Stephen Coppinger made sure there would be South African interest in round two as he beat Chris Simpson 11-1, 12-10, 11-8. The 27-year-old from Cape Town now meets another Englishman in seventh seed Peter Barker, who eased past less-than-fully-fit Aussie Aaron Frankcomb 11-4, 11-1, 11-4.